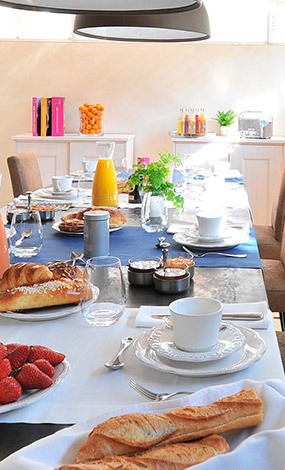 Rue du 4 Septembre, the rooms and suites of La Maison d'Aix reflect their address. Genuine haven of peace filled with natural light, they all combine glamour and elegance. Our wellness facility in the secret underground of the hotel harbors a hammam and a pool to let you reconnect with yourself. On the first floor, the Salon Rouge was designed to soothe your mind and help you find your inner balance. 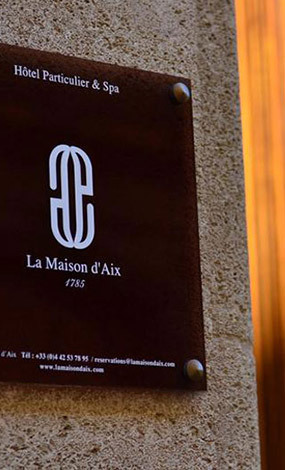 La Maison d’Aix is at the pinnacle of the luxury living in the most delightful of ways. Tailored to each of our client, our service is discreet, attentive, individual and restrained.